GAC Shipping India Pvt. Ltd.
Sagargyan Academy (SGA) was formed on 26th Aug 1998 with the objective of conducting marine related training to seafarers (Indian & foreign nationals). SVS Marine Services Pvt. Ltd.
We provide high quality and cost efficient ship management, vessel inspections and consultancy services to turn key project management spanning across different vessel types. We also offer complete demo services including selling and agency services and buying of the vessel on 'as is where is basis'. The STCW Programme means Standards of Training Certification and Watchkeeping for Seafarers Programme. The STCW Programme is for those candidates who want to make their career in super yacht cruise ship, merchant vessel, oil rig, etc. 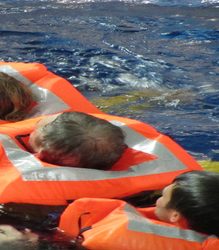 STCW Programme is an international requirement to work in any type of sea-based occupation. The Sea Scan Maritime Foundation, is a Maritime Training Institution recognized by the Director General of Shipping; Govt. of India, approved by the International Maritime Organisation (IMO), London and conducts training in compliance with ISO 9001 2008 certification by DET NORSKE VERITAS (GL). Port Pipavav leverages a diverse team of professionals to ensure safe and efficient maritime operations. Senior pilots have more than ten years of experience at the port, and not a single marine accident has occurred at the Port Pipavav since its inception. Welcome to Disha Marine Academy Part of Our Ganpati Hospitality Services Pvt.Ltd. Disha Marine Academy is a Division of Disha Educational Trust. Training is one of the key pillars within BSM in ensuring that our service exceeds the expectations of our customers and that ships under our management perform to the highest standards. We continuously invest in training and career development of our staff on board and ashore. Carrying out of training and professional development programs for ship mangers. Carrying out of On-board training for ships officers and crew. Carrying out value added training courses for ships officers and crew.